Each year, thousands of engineering graduates apply to become licensed practitioners in Canada. Approximately 7,500 applications from international engineering graduates are processed by Canadian provincial engineering licensing organizations. However, the application process can be daunting for newcomers who aren’t familiar with the system. Fortunately for new immigrants, Engineers Canada has put together a website in order to provide a single source of information for the many international engineering graduates who are hoping to live and work in Canada. The website clearly details the licensing process. According to Ogbu, the Roadmap website would have made a big difference when she first applied to begin the licensing process. 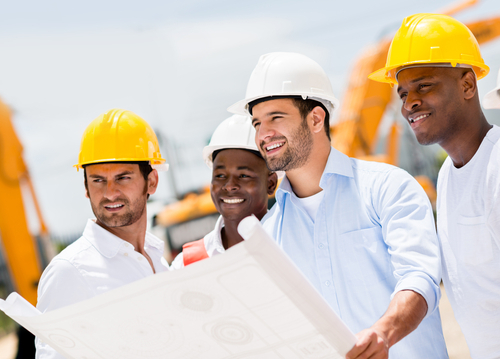 In order to become fully licensed as an engineer in Canada, the first step is to get in touch with the provincial or territorial engineering association for your desired province or territory in Canada. This is because Engineers Canada is the national organization for the 12 associations which regulate engineering practices in Canada, but is not actually part of the licensing process itself. Generally speaking, to acquire a license, prospective engineers must meet a specific set of requirements in areas including language, education, work experience, professionalism, character and ethics. Applying for your licence will first involve the provincial or territorial association confirming that you have the equivalent academic experience and qualifications, including at least four years of work experience in the field. You must also have one year of engineering work experience in Canada (or one year of work experience that has been supervised by a professional Canadian engineer) in order to be eligible. You must also be proficient in English or French, and be able to provide references both personal and professional. The Professional Practice Examination will test your knowledge of current laws relating to your professional, and the professional and ethical standards which will be expected of you as a professional engineer working in Canada. As for how long it will take to complete these requirements, it really depends on the individual, but it is recommended that you gather and submit all the required documents as quickly as possible. Some applicants may have to undergo further examination, or obtain further education before they become licensed to practice engineering in Canada. However, for some, the most frustrating part of the process can be obtaining a full year of Canadian work experience, which is why networking can very important. Are You Interested in Working as an Engineer in Canada? If you’re an engineering graduate and are interested in starting the Canadian immigration process, VisaPlace can help. All you need to do is use our free online immigration assessment form here or contact us here. Together we can find a way to help you live and work in a country full of great engineering opportunities.